It’s been a long time between stiff drinks for Witch Hats (three years since the last release A China Selection and ten (!) years since the potent first EP Wound of a Little Horse) but it seems enough time has passed for the murk rock band to re-emerge with some new virile throb. News hit the web last week of a new spanker in the pipeline – eight tracks about all manner of pointed topics such as religion, terrorism and war. Deliverance is the name of the forthcoming record from the Buscombe brothers and co, due out on July 1 through Behind The Beat Records and MGM. 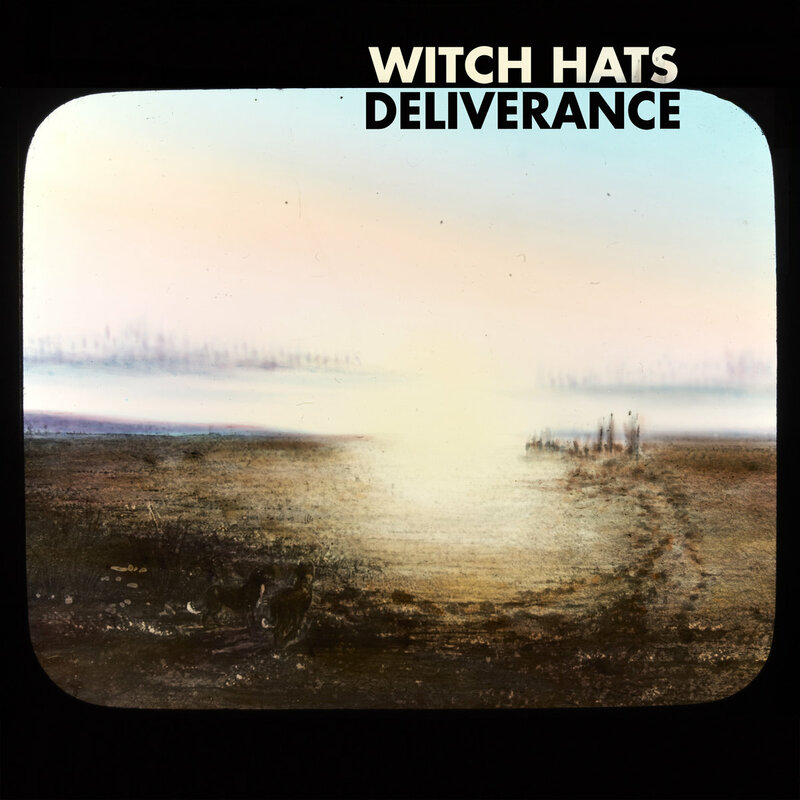 With the news came a video for the first single, also called ‘Deliverance’, and a second snippet on the Witch Hats Bandcamp called ‘Trying To Forget’. A first listen of these tracks reveals a slight removal of some the murderous smog that previous Witch Hats releases often boasted, but retains some of the wallowing bluesy elements and skronk. It’s still Witch Hats, is what I’m trying to say. ‘Deliverance’ is the fiercer of the two tracks available, opening with a thick bass line and joined with ferocious strum and twang. Strained and tearing vocals convey a savagery reminiscent of someone with nothing left to lose. There is frustration in spades – spades shovelling coal into a burning engine that keeps the Witch Hats chug plodding along, billowing black smoke in the process. ‘Trying To Forget’ opens with an ominous line – “behind every door / behind every mountain / there is a profound sense of hate and destruction”. It’s seems to me that Witch Hats are skewering establishments and their revisionist history and changing sensibilities. This one is more straightforward musically than ‘Deliverance’, which I felt had more textured peaks and valleys, but this song is still potent and the chorus stirs fire within. My eyes are on the horizon for this one, as yours should be. Not long now – we’ve waited a while, we can wait a bit longer.